The college basketball world has its eyes focused on Kentucky in the SEC, but it’s another team in that league that has quietly been having an outstanding season. The Arkansas Razorbacks have begun to distance themselves from everyone in the league not named Kentucky. With play reminiscent of the Nolan Richardson days, the Razorbacks play an exciting brand of trapping and pressing that is finally paying dividends. The “fastest 40 minutes in basketball” is forcing over 16 turnovers per game giving them 11th most possessions per game nationally. Coach Mike Anderson is back home and it looks like he’s bringing the old days back. Mark Feb. 28 on your calendars folks. That’s the day the Hogs invade Rupp. Stock Up: Valparaiso. This team is dangerous. While the country was expecting Green Bay to have a big season in the Horizon, it’s been 24-4 Valpo who’s running away with league title. Stock Down: George Washington. The Colonials had a really bad week last week. Losing at Duquesne and home to Briante Weber-less VCU made GW’s RPI plummet to the 70’s. Going to be an uphill climb for the Colonials the rest of the way. Stock Up: SMU. Last year on Selection Sunday, the committee took exception to the Mustangs strength and schedule and road record. That will not be an issue this year. SMU took care of business on paper and is now doing it on the court. Stock Down: Old Dominion. A once promising at-large resume is faltering in the unfavorable light of being 7-5 in Conference USA. METRO ATLANTIC ATHLETIC: Iona has been on my radar since I watch it go blow-for-blow with Purdue in November. This team can flatout score. This is one of the most dangerous mid-majors in the country as it has three pros on the roster. That being said, the Gaels don’t really care to much to play defense and that’s why a team like Loyola is a real threat. Despite that, I don’t think Iona will be denied this year. COLONIAL ATHLETIC ASSOCIATION: Up until mid-February, people were talking about the down year in the CAA. Then came Bracketbusters where the CAA once again flexed its mid-major muscle. Drexel, Virginia Commonwealth, George Mason and Old Dominion all scored big wins leading many pundits to say this is a multi-bid league again. I’m not so sure of that but I do know that Drexel and VCU will play a classic championship game. That game will be won by Drexel. SOUTHERN: Davidson served notice to the nation earlier this season when it beat Kansas. It followed that impressive win up with a 16-2 league record. The Wildcats have a solid RPI and is far and away the best team in this league, but I don’t have a good feeling about them winning the conference championship. There’s one team though, which has been knocking on the door and that’s the College of Charleston. The Cougars have won six of their last seven and they’ll carry that momentum into a SoCon championship. SUN BELT: Middle Tennessee St put the nation on notice when it took UCLA apart in November. With only five losses, the Blue Raiders have done that to most of their opponents this season. This team is the class of the Sun Belt and, with the exception of Denver, has no peer. The Blue Raiders are going dancing. SUMMIT LEAGUE: You’re 17-1 in league play and one of the best mid-majors in the nation. How are you rewarded – by playing the conference tournament on the homecourt of the second place team in the conference. That’s what Oral Roberts’ dilemma is as it prepares for the conference tournament hosted by South Dakota St. That South Dakota St team is responsible for Oral Roberts lone conference loss. On March 6, it’ll be responsible for Oral Roberts’ second conference loss. BIG SKY: Weber St and Montana went toe-to-toe all season long in a conference race that wasn’t decided until the last game of the regular season. That game determined where the conference tournament would be played. Unfortunately for Weber St, they’re going to have to go through the regular season champion Montana on its home court. Not likely. The Grizzlies are going to the NCAA tournament. PATRIOT LEAGUE: Bucknell and American are way ahead of the pack in this league. Bucknell ran through Patriot League competition with only one loss and American only three. Too bad for the Eagles, two of those losses came from the Bison. Nothing really to say here, but to expect part three with Bucknell winning again. MISSOURI VALLEY: I’m used to seeing multiple bids come from this league, but the trend of it being one-bid the past few seasons has to be troubling for commissioner Doug Elgin. Despite this, there are still teams in this conference who can win a game in the NCAA tournament. The Missouri St. Bears finished in first with the Wichita St. Shockers one game behind. The two teams were the most consistent all year and appear to be on a collision course. In round three, expect the Shockers to come out on top. NORTHEAST: Long Island’s uptempo style has led it to an impressive 16-2 league record. In fact, the Blackbirds have only loss once in the 2011 calendar year. Given the fact that this tournament is played entirely on home courts give them an extra advantage. The Blackbirds should expect a challenge from the tournament-tested Robert Morris Colonials, but this team is head and shoulders above the rest of the league and will make their way to the NCAA tournament. COLONIAL ATHLETIC ASSOCIATION: This one should be interesting. After back-to-back losses to Hofstra and Old Dominion, George Mason ran off 15 wins in-a-row to put a stamp on an at-large bid. Old Dominion, by virtue of stellar play in the non-conference did the same. The question right now goes to the hunger of both teams and I believe both may already know they’re dancing. One team however, isn’t going to be dancing without an automatic bid and I expect it to come out firing on all cylinders. Virginia Commonwealth, at home in Richmond, will “steal” a bid and punch its ticket to the NCAA tournament. METRO ATLANTIC ATHLETIC: After its impressive showing in BracketBusters, the Metro Atlantic Athletic Conference (MAAC) became one of the most intriguing leagues in the country. The conference tournament is usually entertaining and this year should be no different. Fairfield finished in first in the regular season, but show kinks in the armor in losses to Rider and Iona, the two teams that tied for second. Iona, by virtue of being hot at the right time seems to be surging towards a NCAA bid, which it’ll get. SOUTHERN: College of Charleston was cruising through league play until the last week of the regular season where it lost its final two games. That brought into a tie for the South Division and league title with defending champion Wofford. Although Charleston has a win over Tennessee and an almost win at Maryland, I think its going to be tough for it to navigate through this tournament. Chattanooga and Wofford will meet for round 3 with Wofford making a repeat trip to the NCAA tournament. WEST COAST: St. Mary’s and Gonzaga both have at-large hopes with Gonzaga’s chances being a tad bit better at the moment. Given that the tournament is set up to give top two teams an advantage expect to see the two class programs in the conference go at it one more time. It will be a heavyweight slugfest in Vegas with St. Mary’s getting an automatic bid ensuring two WCC teams go dancing. AMERICA EAST: Vermont and Boston University have been the two best teams in league play, but neither is perfect. Maine had a run at the both of them and should be in the mix this weekend in Hartford. However, I still believe that Vermont and Boston will get through a tough tournament to meet for all the marbles once again. Boston will not be able to finish Vermont for a third time and the Vermont Catamounts will go dancing. Strength: As the big three go, so goes Duke. Nolan Smith, Jon Scheyer and Kyle Singler are outstanding players and all-ACC selections. They all can shoot the three and create their own shots. When they’re play well in concert together, there aren’t many teams in the country that can beat Duke. Those three are definitely the key to another Final Four run for coach Mike Krzyzewski. Weakness: Duke still doesn’t have a low-post scoring threat. They have bodies to fill-in, but none are consistent. This has been an issue for Duke since Sheldon Williams left and it hasn’t been addressed. Maryland, Georgia Tech and Georgetown all hurt the Blue Devils because they had legitimate big men. If and when they run into a team with talented post players, they are going to struggle. Strength: Villanova is very quick on defense and they’re tough to guard off of dribble penetration, but be clear: This is Scottie Reynolds’ team. If he doesn’t play well, the Wildcats can’t win. It just so happens that he plays well almost every game. Reynolds may be considered the greatest player in Villanova history when it’s all said and done. He can get hot and take a game over. He takes big shots and is fearless. He has to be himself for Villanova to have a chance to make a run. Weakness: Villanova is allowing teams to score too easily. Teams that are able to break Villanova’s pressure defense are having a lot success putting the ball in the basket. The Wildcats are allowing over 72 points per game. They send their opponents to the free-throw line a lot and, due to their lack of size, allow a lot of points in the paint. Villanova allowing teams to score that much in the tournament is going to send it home early. Strength: The Bears are quite possibly the most athletic team in the nation. In the open floor, they have multiple guys who can finish. They seem to live on Sports Center’s top plays with highlight reel dunks. It also helps them on defense where they hold their opponents to 38.4 percent shooting and block over seven shots per game. They’ve been able to overwhelm many of their opponents with that athleticism and it’ll be a huge key to how they perform in the tournament. Weakness: This team turns the ball over too much. Baylor is dead last in the Big XII in turnover margin committing almost two more turnovers a game than its opponents. the biggest issue is LaceDarius Dunn, the Bears’ best player, leads the team in turnovers. He’s the player with the ball in his hand more than anyone else and if he’s coughing it up, that’s going to make the Bears a little easier to defend. In order for the Bears to make a run, they have to value the basketball. Strength: One thing the Boilermakers have done all season is defend. They’re at the top of the Big Ten in most defensive categories. They’re opponents only score 60.6 points per game on 40.1 percent shooting. Their defense has carried them all year, especially after the lost or Robbie Hummel. As long as they continue to defend the way they are, they’ll be able o contend in the tournament. Weakness: This team is still struggling to find its identity without Hummel. The Boilermakers are clearly not the same team without Hummel. They miss his scoring, his rebounding and most importantly, his leadership. They have had some really terrible offensive performances since his injury. They really need to take the time before the start of their tournament game get comfortable with each other. Strength: Not many teams in the tournament will have the kind of quality experience the Aggies have. Seniors Donald Sloan and Bryan Davis have already played seven NCAA tournament games each in their previous three trips to the Big Dance. Junior B.J. Holmes has played in two NCAA tournaments himself. Throw-in the playing in the rugged Big XII and there’s nothing that’s going to rattle these guys. 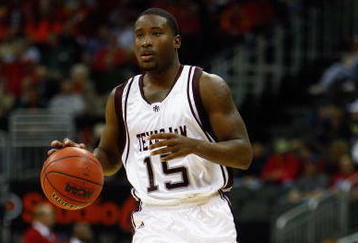 Weakness: Texas A&M is one of the worst free-throw shooting teams in the Big XII. At 66 percent, the Aggies have struggled all year from the line. The Aggies have five guys seeing significant minutes that shoot 57 percent or worst. Fortunately Sloan shoots 77 percent as he is their best option offensively, but in late game situations, they will need to knock down shots from the free-throw line if they expect to make a run. Strength: Notre Dame comes in boasting one of the most experienced rosters you’ll see in the tournament this year. Luke Harangody and Tory Jackson are seniors. Tim Abromaitis, Ben Hansbrough, and Tyrone Nash are juniors. This team will be prepared for anything it sees. It was mature enough to handle a mid-season injury to Harangody and a change of philosophy by head coach Mike Brey. It’ll be ready for anything. Weakness: Depth is going to be an issue for the Fighting Irish. They really can only go seven-deep in terms of quality guys. Brey’s decision to switch to a slower pace helps, but it can only go so far. There’s going to come a time in the tournament where Notre Dame is going to face an opponent that’ll throw a lot of bodies at it. How the Irish handle that will be paramount to how far it goes. Strength: Richmond runs one of the most complex offenses of any team in the NCAA Tournament. It’s an offense based on Princeton principles, but gives the players freedom for isolations. That’s what’s allowed Kevin Anderson to become the A-10 player of the year this season. He really flourishes with his ability to get to the hoop and knock down jumpers. With the talent he has around him, it makes Richmond really difficult to guard. Weakness: Richmond is really a week rebounding team. The Spiders are second from the bottom in the A-10 in rebounding margin; getting out-rebounded by 4.9 boards per game. Their offense has masked that huge deficiency on the boards. However, in this tournament coaches know how to exploit weaknesses and some coach is going to figure how to make them pay on the boards. Strength: The Golden Bears are a nightmare to defend. With four guys who can really score, they present a dynamic challenge most teams around the country can’t. This is a team that likes to shoot threes, but also has a post presence in Jamal Boykin to provide balance. If Cal is on, they can hang with just about anyone. Cal is an explosive team and can do some damage if not taken seriously. Weakness: When Cal isn’t making three-point shots, they’re very mortal. It’s what makes them go and provides opportunities for their big men to get points in the paint. They take a good amount and make a good amount, but if they’re missing, they’ll shoot themselves right out of a game. It’s what happened to them in last year’s tournament and it’s very possible that it can happen again. Strength: If there was one word to describe the Cardinals it would be pesky. This is a Rick Pitino-coached team so it’s going to press full court for 40 minutes. When they’re able to do that effectively, they have the game at their tempo and they are difficult to beat. It allows them to get into their transition offense; creating opportunities for them to spot up for three-pointers on the break. If they’re able to impose their will, they can definitely make some noise. Weakness: Once again, the Cardinals lack a consistent playmaker. Edgar Sosa has shown the ability to take people off the dribble, but they are definitely missing someone who can get the job done in a half-court situation. It was clearly an issue in their loss to Michigan St in the Elite Eight last season and it doesn’t appear the problem has been rectified. It probably isn’t something that’s going to change in the tournament so Louisville fans better hope they can play games at a faster pace. Strength: The Gaels has the kind balance that scares opponents. Not only do they have guards that can really shoot the three, but they also have a legitimate post presence in Omar Samhan. Samhan is joined in the frontcourt by Ben Allen who is a 6’11” big man who can shoot it from three. This is a team that is dangerous from anywhere on the floor offensively and that makes them a tough out this March. Weakness: This team has virtually no depth. The disparity in the minutes played by the starters and the bench for Saint Mary’s is staggering and so is the production. The Gaels really employ only a seven-man rotation and the two guys off of the bench are averaging less than nine points between the two of them. Teams are going to run a lot of defenders at the Gaels to try to stay fresh. If they don’t handle that well, they’ll have trouble advancing. Strength: There aren’t many teams in the country that defend the way the Monarchs do. ODU is only allowing 57.1 points per game holding their opponents to 40 percent shooting. They’re not allowing teams to grab their misses either as they are No. 1 in the CAA in rebounding margin grabbing 8.8 more boards per game. In addition to that, they’re also getting 7.8 steals per game. Anytime you can defend like this, you have a chance to be successful. Weakness: The Monarchs’ free-throw shooting is abysmal.. At 64.5 percent, they’re in 11th place in the 12 team CAA in percentage. Three of their top four scorers shoot 67 percent or less with only Gerald Lee being competent from the line. In the NCAA tournament, when every moment is magnified, their deficiency from the line could be what ends their season. Strength: You won’t find many teams as efficient offensively as the Aggies. They’re always composed and it shows in their numbers. As a team, they’re shooting a remarkable 49.1 percent from the floor and 41.9 percent from behind the arc. They’re only turning the ball over at a clip of 10.3 per game so they don’t give opponents extra opportunities. They’re even in the top half of the WAC in offensive rebound percentage. This team will just not beat itself. Weakness: This team has some depth issues. The Aggies get a lot of production out of its seven-man rotation, but that’s against WAC competition. The WAC is a solid mid-major conference but they’ll be playing teams in the tournament better than any team they faced in conference all year. The Aggies are going to need everyone to step up for them if they expect to do some damage this year. Strength: This team has so much firepower it’s scary. For a mid-major to have four guys averaging in double figures is quite the achievement, but this is no ordinary mid-major. The Saints have won games in the past two NCAA tournaments and has the talent to do it again. They have great guards, great post players and guys who can play from the wing. There’s no doubt that this edition of the Saints is not only talented enough to win one game, but they’re capable of making it to the second weekend. Weakness: Unlike most mid-majors, this isn’t a team that is a great shooting team. They shoot less than 46 percent from the floor, shoot 32.3 percent from three and only shoot 67 percent from the free-throw line. This is a team that likes to go up-and-down but in half-court situations in the NCAA tournament, their inability to shoot effectively could be the reason they make an earlier exit than they’d like. Strength: Sam Houston St made the most three-pointers in the Southland Conference this season and that’s not just because they’re taking the most shots. It’s because they’re one of the best three-point shooting teams in the tournament.. The Bearkats are second in their conference in three-point field goal percentage and it’s a huge part of their success. They have three guys who shoot over 40 percent from three and that’s not including all-conference guard, Corey Allmond, who shots 37.6 percent. Weakness: The Bearkats strength can also be there weakness. Almost every player on the roster has a green light to shoot from behind the arc. That means the Bearkats are high-risk, high-reward. If they’re knocking down shots, they’re going to pull off an upset. If they’re not knocking down shots, they may lose by 30. that kind of free-willing style could be the death of them. Strength: The Colonials are a really good defensive team. They finished tied for first in the NEC in field-goal percentage defense by holding teams to 40.9 percent shooting on the year. They also force 15.7 turnovers per game 7.58 steals, both of which are good enough for second in the NEC. Their defense is the reason they had such a successful season in the NEC and have made a return trip the NCAA tournament. Weakness: There’s a reason the Colonials have to be so good defensively: They’re so bad offensively. They only shoot 43.7 percent from the field, 66.1 percent from the free throw line and commit close to 15 turnovers per game. Given the seed they’ve been given, if they put those kinds of numbers up in this tournament, their stay will be as short as it was last season. Strength: This Golden Lions team really defends. They’re second in the SWAC in field goal percentage defense holding their opponents to 40.7 percent shooting from the floor and forcing over 14 turnovers per game. That defense helped the Golden Lions to a second place regular season finish in the SWAC. They’ll have to play that kind of defense to be competitive in this tournament. Weakness: The Golden Lions offensive numbers are downright disgusting. They’re only scoring 64.4 points per game on 66.3 percent free-throw shooting, 41.1 percent field-goal shooting and 30.4 percent three-point field-goal percentage. It also commits over 17 turnovers per game as well. These are not the numbers of competitive teams and there isn’t much hope for the Golden Lions in this tournament. Strength: Winthrop was one of the best defensive teams in the Big South this season. The Eagles their opponents’ shooting percentage to less that 40 percent, while their opponents only shot 29.4 percent from behind the arc. They also force over 15 turnovers per game as well. Coach Randy Peele’s team will be able to compete if they can continue to guard this way in the NCAA tournament. Weakness: Winthrop may be the worst offensive team in the Big South. On the year, the Eagles actually has worse overall and three-point shooting percentages than their opponents. That’s pretty amazing given it finished in third place. Any team that only scores 62.4 points per game has a razor thin margin of error. At this level, it’s a lot to ask of the Eagles to make much noise with those offensive numbers. Yes, I know everyone knows about Villanova, but do you know who gave the Wildcats their lone defeat. That would be the Temple Owls. Temple has quietly put together its best season sense the days of Mark Karcher and Pepe Sanchez and they show no signs of stopping. The Owls have a RPI of 11 and boast wins over five teams in this week’s bracket,two of their three losses came against Georgetown and Kansas, and they have a 9-2 record in road/neutral games. Led by the backcourt of Juan Fernandez and Ryan Brooks, Temple has the guards to be competitive with anyone on the perimter. Lavoy Allen, in the paint, held Greg Monroe of Georgetown to a stalemate earlier in the season so the Owls are set in the frontcourt as well. Dayton was the preseason favorite, but Temple has decided that wasn’t going to happen on its watch. Fran Dunphy made Big 5 rival, Penn into an Ivy League power and he’s doing the same at Temple. Stock Up: UAB. Another team rolling along in relative obscurity, the Blazers sit tied with Tulsa atop of Conference USA and they’re the best hope of an at-large bid in the conference. They’ve beaten Cincinnati and Butler and can really put some distance between themselves and the rest of the conference. With Tulsa and UTEP coming in, they can put their mark on the league this year. Stock Down: Clemson. Doesn’t it seem like we come to the same place every year with the Tigers. They pile up wins against cupcakes in the non-conference only to show their real stripes in conference play. The Tigers actually played pretty well in their loss at Georgia Tech, but they were awful in the loss at home to Duke. We’ll see if they can bounce back down the stretch. Stock Up: Old Dominion. I didn’t know what to make of the Monarchs after losing by 16 at George Mason. Well I know what to make now. This is a legitimate at-large contender with wins over Georgetown and Charlotte. They’re tied for first in the CAA with Northeastern and George Mason and they controll they are in complete control of their NCAA tournament fate. Stock Down: Minnesota. I don’t know what’s wrong with Minnesota, but it better get its act together fast. There’s no shame in losing to Michigan St, but twice in the span of three games with another loss to Indiana in between is not good at all. This was a preseason top 20 team and now the Gophers are on the wrong side of the bubble. Not a good place to be with the bubble being as strong as its been in years.